(by Devlin Barrett, The Wall Street Journal) – Federal agents have persuaded police officers to scan license plates to gather information about gun-show customers, government emails show, raising questions about how officials monitor constitutionally protected activity. Emails reviewed by The Wall Street Journal show agents with the Immigration and Customs Enforcement agency [ICE] crafted a plan in 2010 to use license-plate readers—devices that record the plate numbers of all passing cars—at gun shows in Southern California, including one in Del Mar, not far from the Mexican border. There is no indication the gun-show surveillance led to any arrests or investigative leads, but the officials didn’t rule out that such surveillance may have happened elsewhere. The agency has no written policy on its use of license-plate readers and could engage in similar surveillance in the future, they said. Last year, the Journal reported that the Drug Enforcement Administration [DEA] had considered conducting such surveillance at gun shows, but scrapped the plans for unclear reasons. Emails and interviews with law-enforcement officials show ICE went ahead with the strategy in 2010, relying on local police to do so. Erich Pratt, executive director of Gun Owners of America, said his group also opposes such surveillance. “Information on law-abiding gun owners ends up getting recorded, stored, and registered, which is a violation of the 1986 Firearm Owners Protection Act and of the Second Amendment,” Mr. Pratt said. John Chigos, CEO of PlateSmart Technologies, Inc., which sells license-plate-reader systems, said the devices help protect the public but he called it “an abuse of the technology’’ to target gun-show shoppers. License-plate readers are increasingly used by law-enforcement agencies as a way to search for fugitives, missing children, and, recently, the terrorist who allegedly set off a bomb in New York City. But their use at gun shows occupies a murky legal ground. While technology and data collection have greatly expanded the ability of government and companies to monitor citizens’ activity, U.S. courts, lawmakers, and senior officials have been slow to make clear what types of mass surveillance cross the line into violations of constitutional rights. It has long been legal for police officers to record license plates they observe in the course of ordinary life. 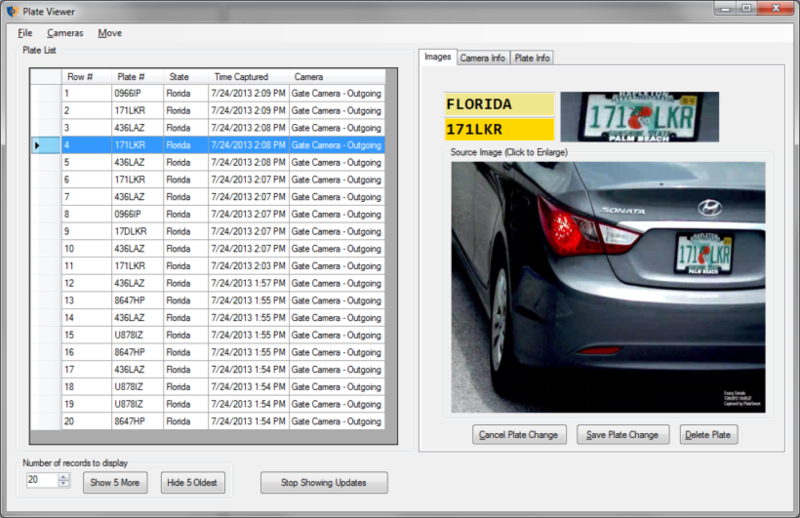 License-plate-reader technology, however, allows those observations to become mass-data collection. A single camera can record thousands of vehicle plates an hour, capturing the data at high speeds, in thick traffic and in other situations that the human eye cannot. Boosters of the technology say it is a way to find a criminal in a sea of otherwise indistinguishable cars. Critics say that to find that criminal the government is tracking the movements of millions of innocent people—adding up to detailed surveillance of their daily lives and creating data that can be misused. Reprinted here for educational purposes only. May not be reproduced on other websites without permission from The Wall Street Journal. Visit the website at wsj .com. 3. a) What groups are concerned about the use of the readers at the gun show? b) Why are they concerned? 4. What were the results of the surveillance? 5. a) Who is John Chigos? b) How does he view the gathering of license plates at a gun show? c) He suggested, “we need to establish policies for license-plate readers, like any new technology.” Do you agree with his suggestion? Explain your answer. 6. From paragraph 5: “ICE has no written policy on its use of license-plate readers and could engage in similar surveillance in the future, they said.” What do you think? Should government security agencies be required to have a written policy on this data collection? Should they be required to obtain a warrant? Should they be required to demonstrate probable cause or individualized suspicion? Explain your answer. 7. In what ways (for what reasons) do law-enforcement agencies use license-plate readers? 8. a) Re-read paragraph 13. Do you think the mass collection of information on people attending a legal gun show is a violation of their constitutional rights? b) If ICE successfully arrested a gang of gun smugglers, would it be acceptable? Explain your answer. c) Would your answer be different if law enforcement collected facial recognition data on attendees at a “legalize marijuana” rally, or an anti-police rally or Hillary Clinton, Donald Trump or Bernie Sanders rally? d) If law enforcement could successfully catch drug dealers in one of those crowds, is it ok for the government to have attendee information in a database of this group of people? (Some people say “I don’t do anything wrong, I don’t care if they have my information.” or “Google, Instagram etc. have all of my information anyway, who cares if a government agency does as well?” or “They need to use mass surveillance to keep us safe.”) What do you think? e) Ask a parent the same questions. Read info on license-plate readers from a 2014 daily news article: studentnewsdaily.com/license-plate-reader-error and U.S. Spies on Millions of Drivers from a 2015 daily news article. ICE is a federal law enforcement agency under the U.S. Department of Homeland Security (DHS), responsible for identifying, investigating, and dismantling vulnerabilities regarding the nation’s border, economic, transportation, and infrastructure security. Headquartered in Washington, D.C., ICE is charged with the investigation and enforcement of over 400 federal statutes within the U.S., and maintains attachés at major U.S. embassies overseas. ICE is led by a director, who is appointed at the sub-Cabinet level by the president of the United States, confirmed by the Senate, and reports directly to the Secretary of Homeland Security. ICE is the second largest criminal investigations agency in the U.S. government, following the FBI. The Journal obtained, through a request under the Freedom of Information Act, internal ICE emails showing agents in 2010 targeted a gun show called Crossroads of the West in Del Mar, Calif.
More than half of the pages provided by the agency were completely redacted, or blacked out; others have large sections redacted (removed or blacked out), apparently to keep secret how the surveillance was undertaken. Other emails show ICE agents planned to keep scanning license plates at other gun shows in Southern California, though agency officials said they couldn’t confirm whether they had done so.